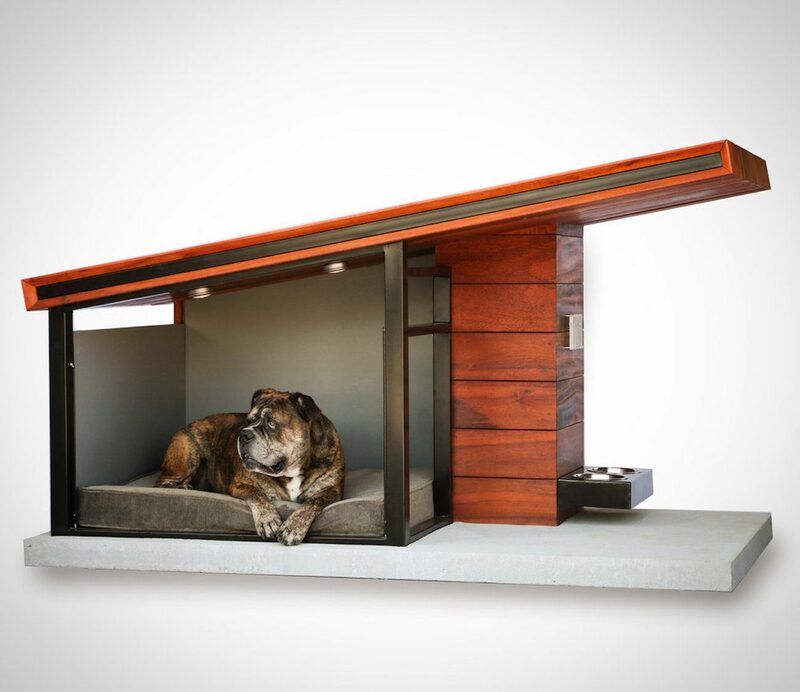 Let your pooch live in the lap of luxury with the MDK9 Dog Haus Luxury Dog House. 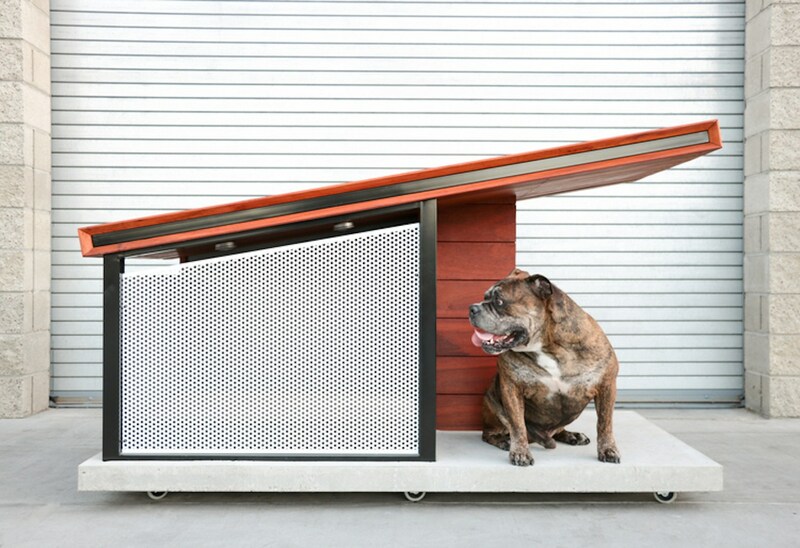 This ultra modern dog house uses timeless materials. Let your pooch live in the lap of luxury with the MDK9 Dog Haus Luxury Dog House. 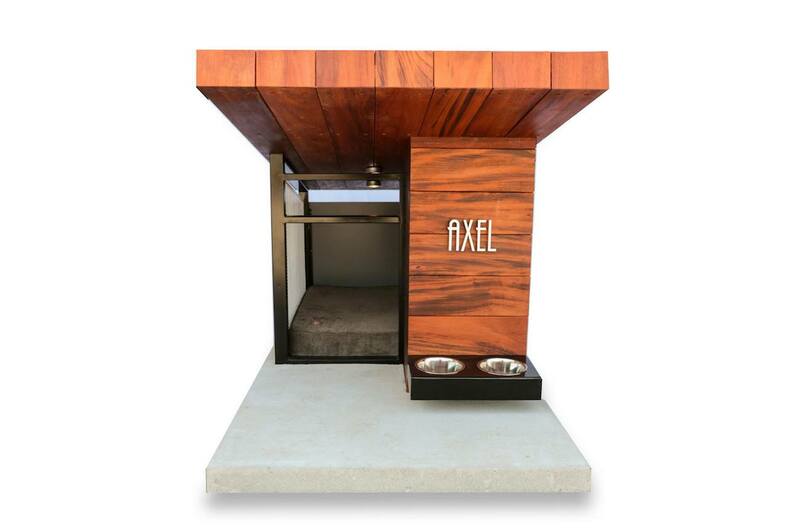 This ultra modern dog house uses timeless materials for a durable and sturdy design. 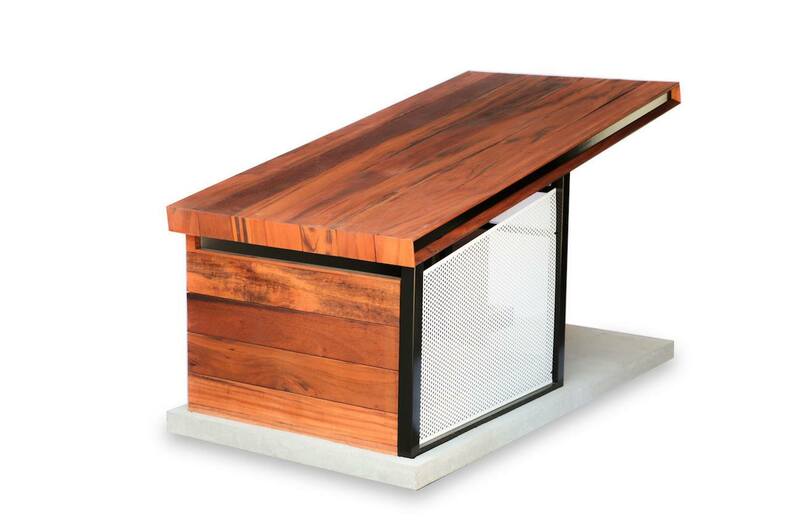 The MDK9 Dog Haus features stunning Brazilian teak wood which adorns the walls and the roof. In addition, the dog house uses powder coated steel for a strong frame. At the base is sturdy concrete. 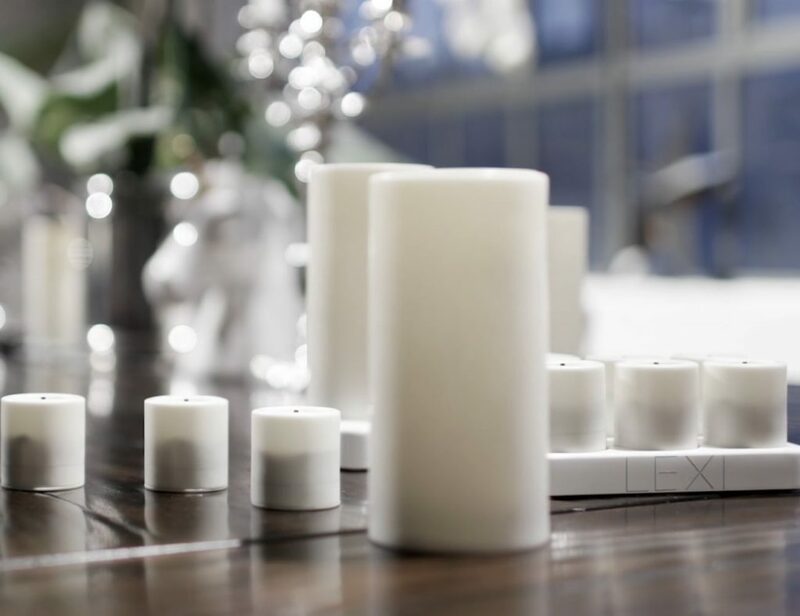 In addition to these fine materials, the MDK9 Dog Haus comes with the Jax & Bones ultra luxe memory foam pillow. 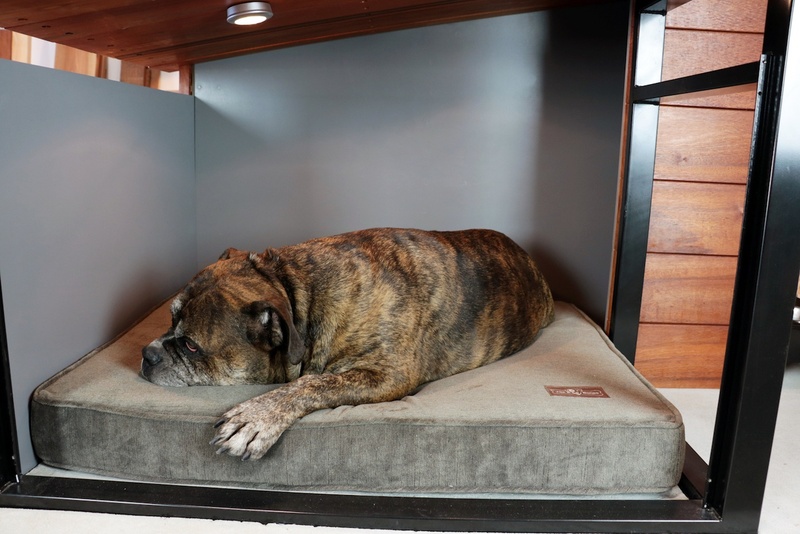 With custom colors available, this mattress completes the luxury of the MDK9 Dog Haus – your dog won’t want to leave! To finish the house-like design, the MDK9 Dog Haus comes with modern house numbers with brushed aluminum figures. 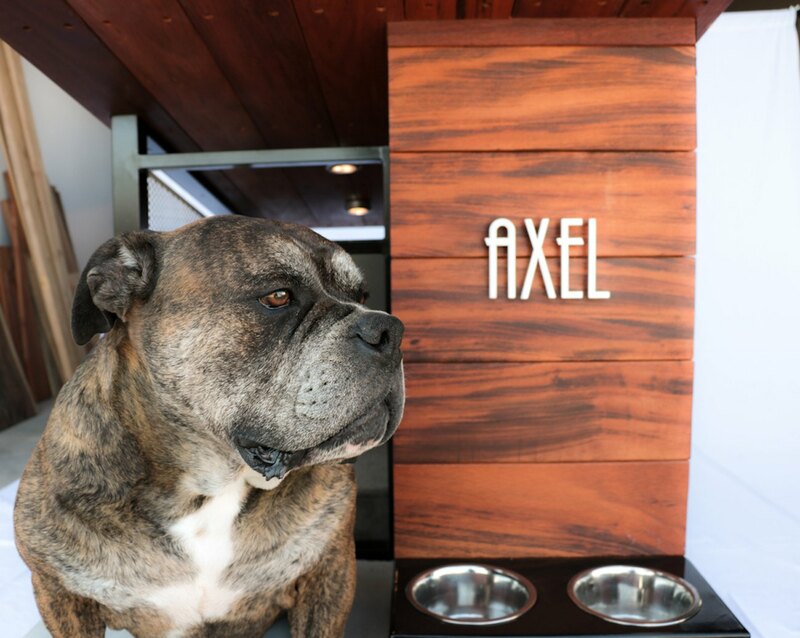 You can also choose to use your dog’s name to personalize the space.